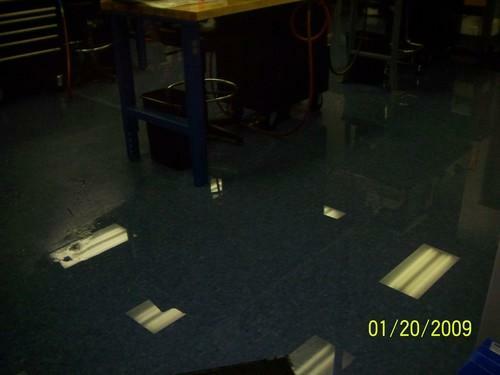 At New Beginnings our technicians are efficient and certified experts in flooding restorations. Water in your basement is always of great concern for a home owner or business owner. We have compassion for every one of your needs when dealing with such devastation. Work must be done in a timely matter to insure there isn’t any further damage caused to within the structure. Our technicians first comes in and takes note of the amount of water to be extracted, and the type of water (sewage or clean water) that’s has entered your basement will be determined. We will use the water extraction tools and drying process that is most efficient to make sure water damage out come is as minimal a possible and restore all of your damaged contents back to its pre-existing state when possible. Drywall will be dried out as long as the water classification isn’t a 2 or 3 (bio hazardous), at which time if its at a that classification it will need to be replaced. Time is always important when dealing with any type of flood damage. Call us with any flooding in your basement, standing water or sewage, our friendly professional staff is on call 24/7 @ 866-287-0892. We provide an array of extraction equipment such as sealed extractors (the claw) which will remove water from thicker areas of carpets or padding, portable flood extractors which can remove up to 55 gallons of water at a time. Truck mounts for removing any standing water from your basement and provide professional grade fans that can remove moisture from the air and the building. We use moisture meters and keep track of the moisture content in the air and the building as the job progresses. To prevent any further damages, contact our dispatchers once the damage has been noticed. The sooner that you call, the sooner that our technicians can respond. Our staff is IICRC certified, trained and experienced in all phases of basement flooding restorations. Call our dispatchers 24 hours a day 7 days a week @866-287-0892. If you are experiencing a flood inside your basement because of a broken hot water tank, sub pump failure, storm damages, broken appliance, clogged toilet, sewage overflow or even a leaking foundation don’t try to clean it up yourself we can do it properly. Most basement water disasters contain sewage overflow which can be hazardous to your health or your pets. Call the experts at New Beginnings our crews specialize in emergency flood restoration services. The faster we can start the work the less damage you have, the less damages you have the less money you will have to pay out of pocket. If you have a water in your basement, allow us to restore it for you. Nobody can be completely prepared for everything but you should always have a plan just in case of an emergency. Keep in mind your important documents and papers should be keep in an air-tight safe container. Check your appliance seals and anything connected to a water source should have regular maintenance and up-keep. If you have found that you have fallen victim of a basement flood call the professional disaster restoration specialists at New Beginnings. We are fully prepared for anything you need to call us for at 866-287-0892. 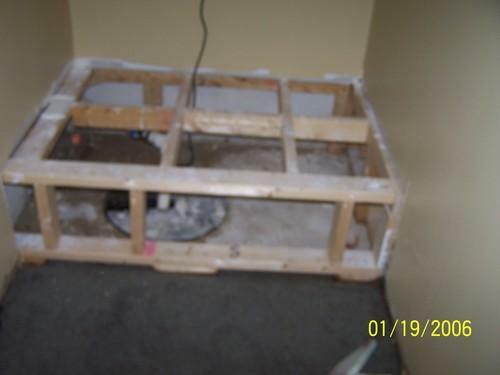 Immediate action with your basement damages will get you the best results. Our crews have more than 25 years of experience in drying services. Your safety is our biggest concern and we want to provide you with a the best overall experience. No matter what the size or the cause of your basement flood we can restore the property. Water damages, mold damage, odor problems or sewage flooding are all major reasons for the disaster services that we provide. Here at New Beginnings we ensure that all employees are credible and qualified. We understand that you are opening your home up to a team of people that you have likely not met before. That is why it is so important that we hire only the best, well rounded individuals to service you and your property. All prospective employees undergo an extensive background check to ensure the safety and peace of mind of each and every customer. Not only do we hire the best individuals, but also the most qualified workers for the job. All crew members and project managers are licensed and insured. We also ensure that our employees will always follow all OSHA and other standards to keep a safe work environment and get the job done right!